Two fields between Hatfield Road and Camp Lane, part of Beaumonts Farm, were purchased from the trustees of its former owner, Thomas Kinder, in 1899. The development was known as the Camp estate. 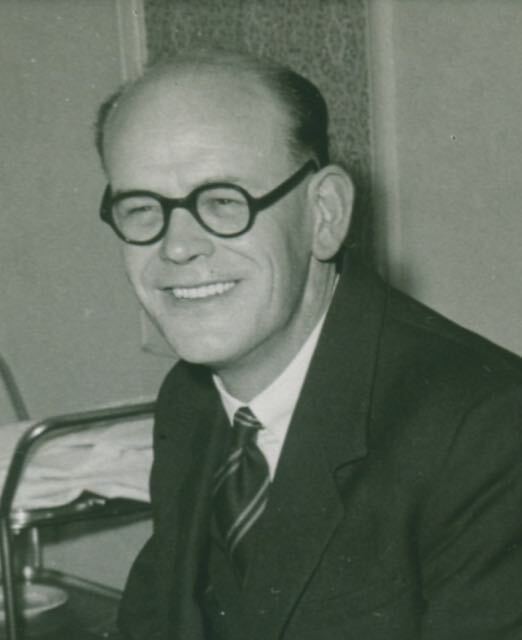 The partners were Francis Giffen and Arthur Ekins. Nearly sixty years passed between the first and final houses to be completed. 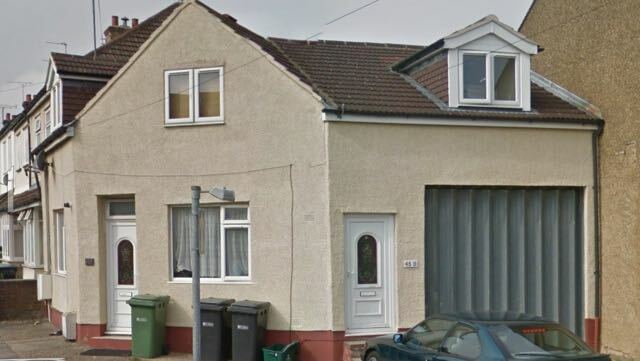 The earliest are as the lower end, although the newest of the original homes only arrived with the laying of the street extension between Beresford Road and the Ashpath (now Ashley Road). Early properties between Camp View and Ely roads have now been replaced. 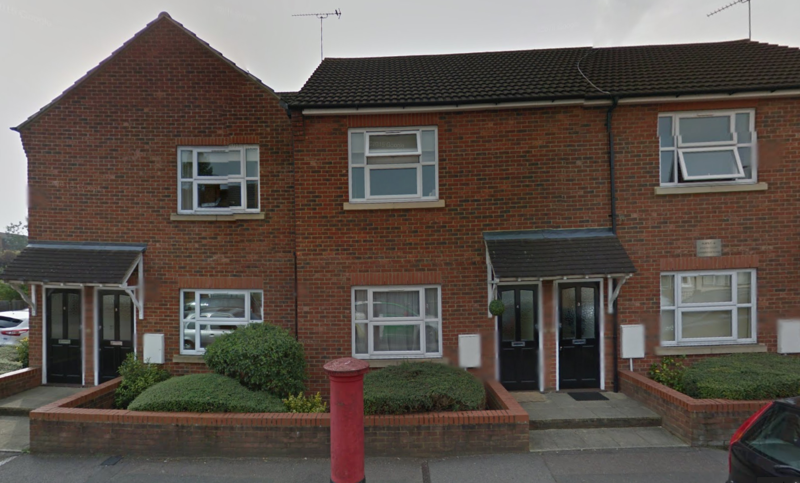 There are around 120 homes altogether in Cambridge Road. 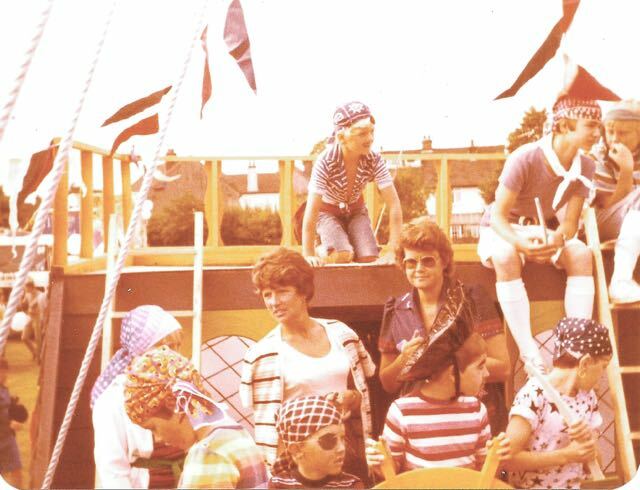 During the 1970s and 80s the residents were in an especially effervescent mood, when the Cambridge Road Residents' Association organised many social events. The street was a regular entrant to the parade of floats in the St Albans Festival, and charity football matches were held in Clarence Park. For a complete set of exhibition panels on the Fleetville Diaries website click below. 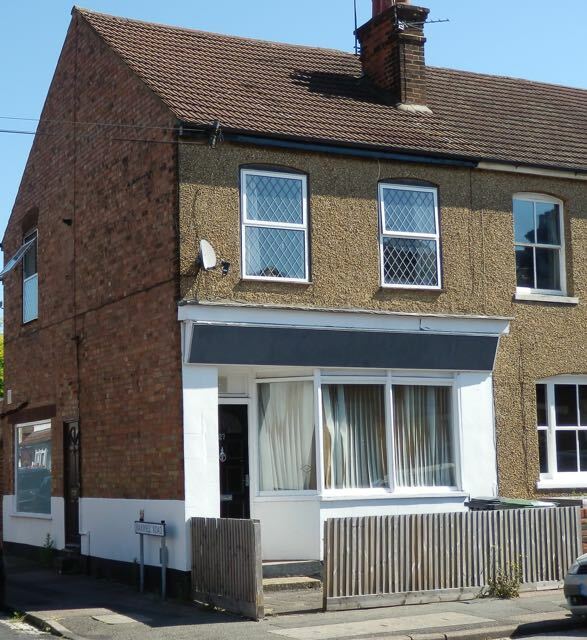 For a residential street there have been a surprising number of shops trading along the road – and even more around the corner. So, how many are there today? Look further down the page for a clue. As you walk along Cambridge Road and Camp View Road there are still tell-tale signs that a house was once a local shop. "Clara Hale was a handsome woman. She wore her hair in a bun on top of her head, like a cottage loaf, and always a wrap around her apron. She was no good at housework or cooking; meals always seemed to be stews. Clara played the piano by ear. There was sheet music in the stool, but she didn't seem to read it; we'd sing along together. We had a lot of fun in the school holidays, go joy-riding; get on a bus as far as it went, and wait until it did the return trip. It sounds weedy, but I liked it. Things were far different then than they are nowadays." 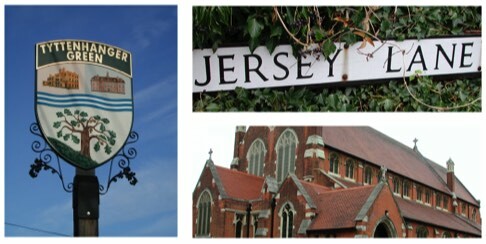 With one hundred and twenty houses, many of them over a century old, there have been countless arrivals and departures. Some have become well-known in the city: Juliet Haddon (above) and Percy Hall (below); others simply enthusiastic about telling their story. 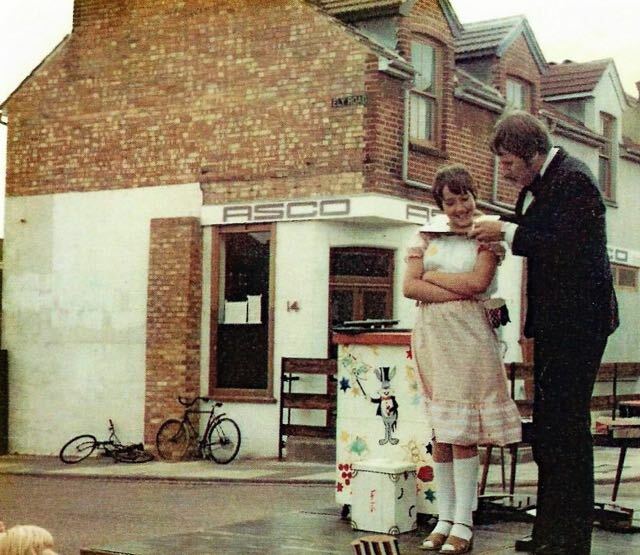 The Cambridge Road Project has collected many stories, some of which are collected into a brochure, available from Fleetville Diaries. For a residential road there have been a surprising number of shops trading there; and even more just round the corner. So, how many are there today? Not as many, that is certain, and residents have to walk a little further for some of their requirements. Today we expect to travel further, and the domestic constraints over who actually shopped and the number of hours occupied in daily housework have enabled householders to arrange their lives in very different ways. Photographs of any of these shops or former shops would be welcomed, as would illustrations of corner shops and parades anywhere in Fleetville, Oaklands and The Crown. William Morley opened his bakery at 29 Sutton Road c1923. It was taken over by J Bosley in the mid-sixties, but by 1970 a window cleaner's business was based here. In 1929 Tom Gray, the fish fryer, arrived on the corner. 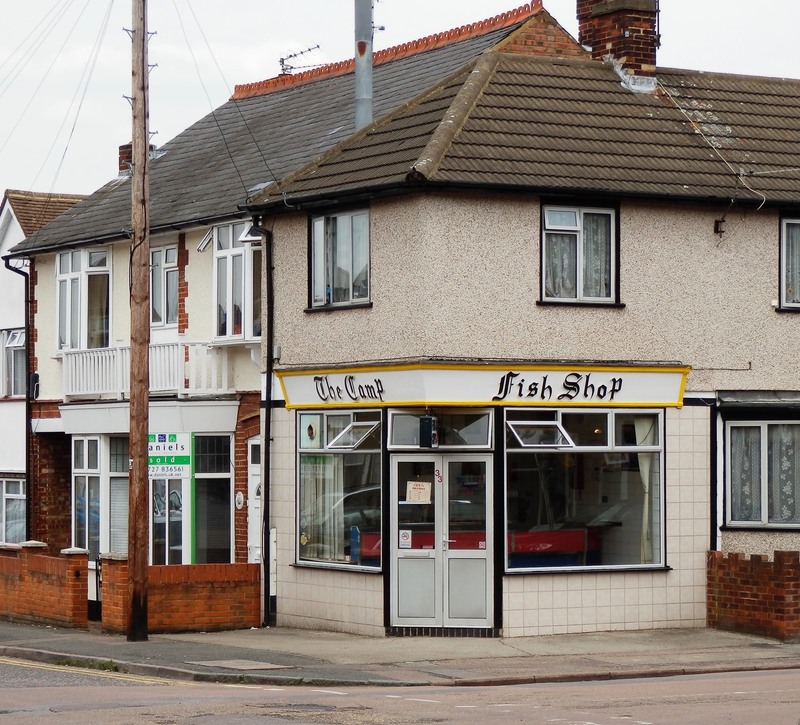 Number 31 Sutton Road has continuously traded as a fish shop and is still very much open for business. 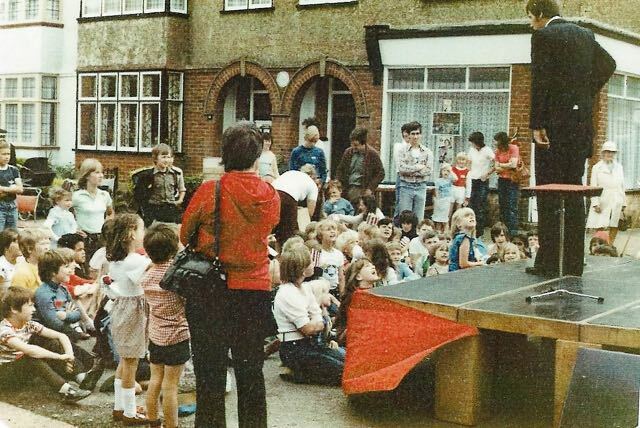 Today there is an extension to the ground floor of this house, but when built the ground floor was a general store, seen here behind the children's party. The shop remained open until around 1960. A former yard wedged between Cambridge and Camp View roads was developed in 1939, into a pair of shops for St Albans Co-operative Society. On the left was the grocer (2 Cambridge Road) and on the right was the Society's butcher (44 Camp View Road although the same building). With the arrival of its supermarket in Hatfield Road the little Co-op shops gradually closed. St Albans Refrigeration came, having moved from the corner of Sandfield Road. The former shops are now occupied by Brampton Interiors. On the corner of Cambridge and Royston roads was the wholesale premises of A T Smith, tobacconist, from c1938. Although domestic premises now, the angled doorway provides a clue to its former purpose. Number 14 Cambridge Road, on the corner of Ely Road, was one of three butchery shops within one hundred yards of each other. 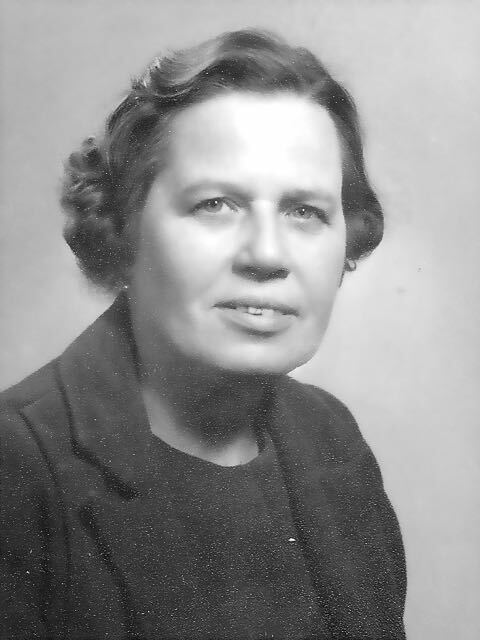 It had been run by S Hathaway before the Second World War, and then Warwick's from 1960. This view from 1980 showman example of the move away from food. The site was later re-developed into flats, Joseph Court. Today, the fascia can still be seen on 42 Camp View Road. It was the earliest of all the shops, dating from 1900, and a small extension on the left offered greengrocery to the original general store. 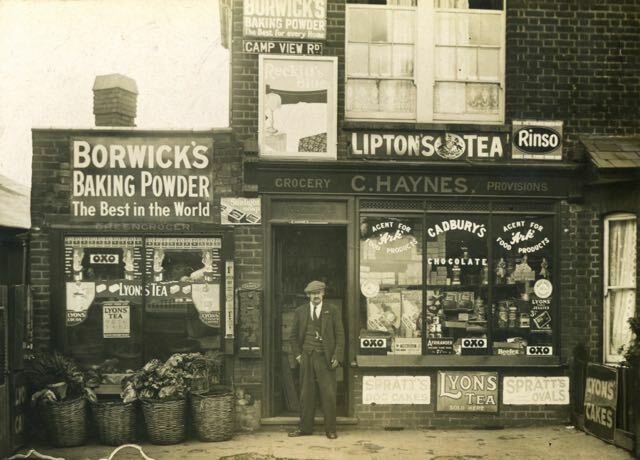 Mr Haynes is shown standing outside the shop, which is in the name of his wife, Clara. Number 27 Cambridge Road still had, until 2018, a recognisable shop front. The frontage has now been restored to match its neighbour. First occupied c1910 there have been several residents of this former general store, including Mrs Challis and Mrs Seal. 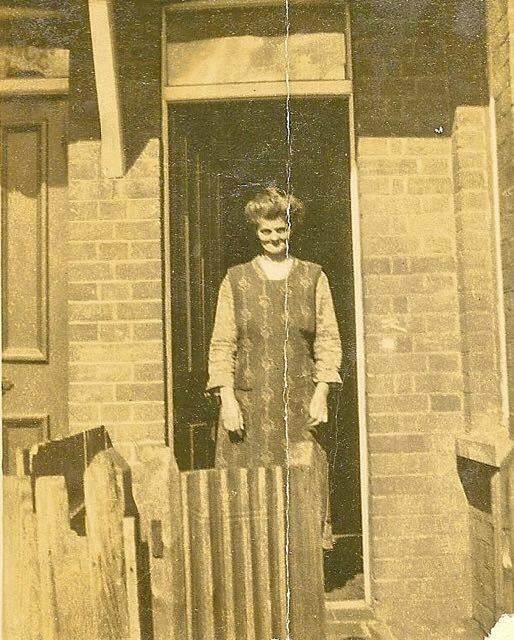 Mrs O'Dell closed the shop in 1966. It later re-opened for various trades. Numbers 12 and 10 Cambridge Road were also shops re-developed as Joseph Court. At number 12 Mr Marsh had a boot repairing business from 1927, and at number 10 Percy Hall opened a ladies and gents hairdressing saloon. 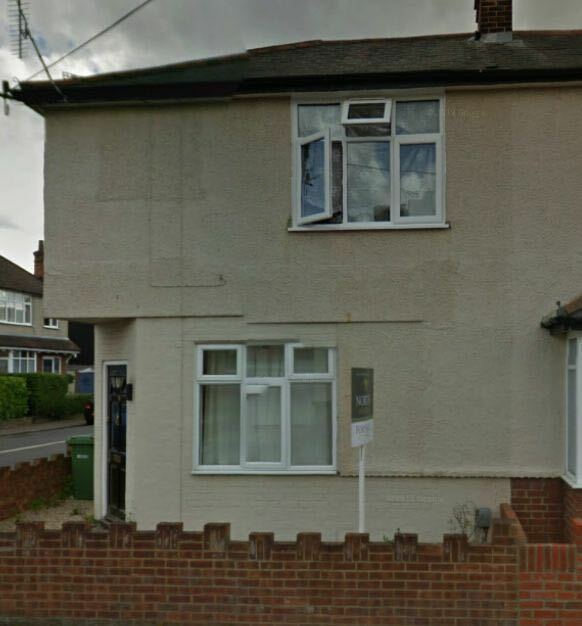 Although we have no photos of this pair of properties (yet), we recall them being small and quite poor quality. We would appreciate sight of a picture of these two shops. This is also a property in Camp View Road, but it now looks somewhat different from when it was a shop. Then it was a single storied extension to number 45 Camp View Road. The extension had been added in c1912 for Mr A Ausden. The greengrocery came into the hands of Mr C F Warwick in 1928, and then Mr S E Hathaway. 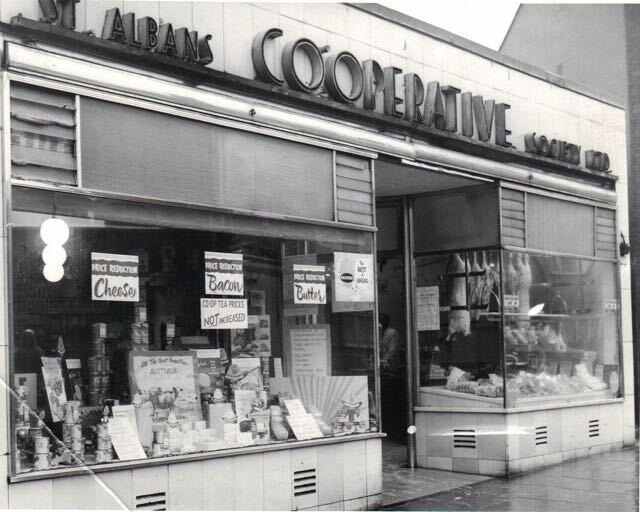 From 1937 it became a butchery, just two years before the Co-op butchery across the road. The last known reference to a shop was in 1975, unless someone can confirm it more recent history. When we moved in there were sloe trees on both sides of the road where it joined Ashley Road. There was a footpath from the end of Cambridge Road to the gate of Hill End Hospital.